This is a one of my all time favorite desserts and I make it at several times a year. Although I almost always make it in a 9"x13"baking dish, I also make it in my Crockpot for potluck or a family gathering. If you're looking for a big crowd pleaser, something that will stand out but isn't too expensive or complicated to prepare and appeals to the pickiest eaters, I know you'll really like this. One of the more unique things about this recipe is how moist it is. The secret is the glaze that you prepare and pour over the apples before you put the crisp on top. 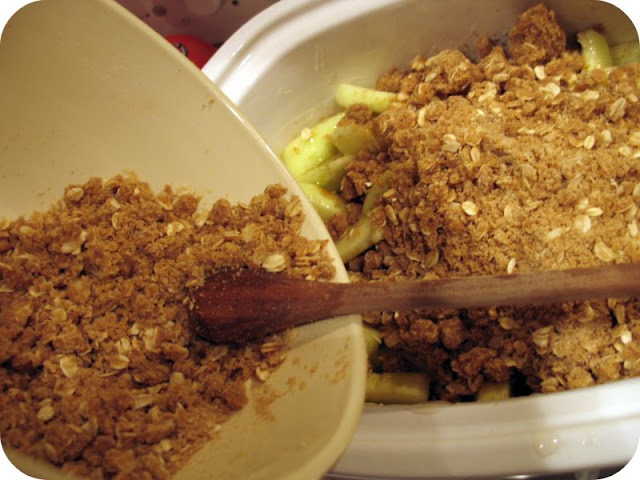 I've made several other apple crisp recipes and this one always has me coming back. Preheat oven to 350F. Remove the crock pot bowl (the porcelain insert) from your crock pot or just use a normal 9"x13" pan and spread the apples evenly along the bottom. Set aside. 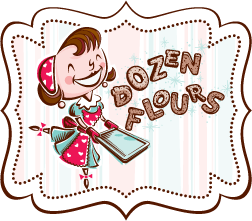 In a medium bowl, combine flour, oats, brown sugar, cinnamon and melted butter. Stir until crumbly. Set aside. In a medium saucepan, combine white sugar, cornstarch, water and vanilla. Cook, stirring, until thick and clear, 8 to 10 minutes. Pour evenly over apples. Give the apples a good stir. Cover apples with oatmeal mixture. Don't be afraid to use your hands to ensure an nice, even layer. Bake in preheated oven 40 minutes, until bubbly and golden. Let it cool, uncovered for at least 10 minutes. If you're planning on eatting it later in the day, wait until it's completely cool and then cover. Don't cover it too soon or the wonderful crisp will get soggy. If you use a Crockpot: If you store the crisp in your fridge, be sure to take it out at least an hour before you're ready to warm it back up so it can get back to room temperature. Place the crockpot vessel back into the crockpot. About an hour or so before you're ready to serve, turn the crockpot on its lowest setting until you see condensation form on the lid - about 1/2 an hour - and turn it off (or use the "hold warm" setting if you have one). Every crock pot is different but mine gets hot even on the lowest setting. 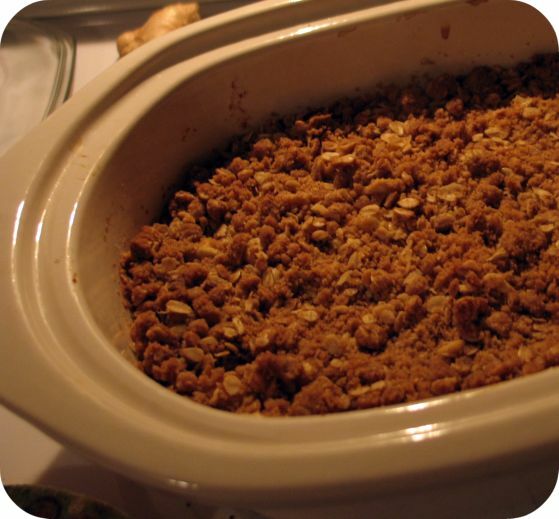 The idea is to use the crock pot to reheat the apple crisp, not cook it, so be sure to keep an eye on it as it will burn. Serve with fresh whipped cream, vanilla ice cream, or plain. Happy New Year to you, too! I've really enjoyed visiting over here! This one sounds just perfect for New Years Day! This looks great! I will definetly try this! Have a happy new year! I love fruit crisps, they are also my mom's go-to dish. They are always so easy to throw together. Looks great, and Happy New Year! mmmmmmm. tasty and easy! my kind of dessert!! Happy New Year Julia & family!! That's a great idea using the crock pot "bowl" as your baking dish and then base later on to keep it warm.